The greatest of the five Tabernacle Feasts of the Armenian Church is Easter. It is the same generally in all Christian Churches. The Armenian people call this feast Zadig (Holy Easter), or Medz Zadig (Great Holy Easter). NOTE: In rank of importance, the second important feast in the Armenian Church is Nativity and Theophany (Feast of the Birth, Baptism, and Revelation of God) which is sometimes called Bzdig Zadig. After His Resurrection, He appeared before many persons well identified in the Gospels, as follows. The historical dates for Jesus’ Crucifixion and Resurrection have been determined through scholarly research. Jesus was crucified on Mt. Golgotha on April 7, 30, on the Friday of the Jewish Passover. He died at 3:00 o’clock in the afternoon. During the first three centuries, the Feast of the Holy Resurrection was observed at the same time as the Jewish Passover, which is the feast celebrating the historical event of the escape of the Jews from from slavery in Egypt. But the time for the observance and celebration of the Holy Resurrection remained a matter of controversy. 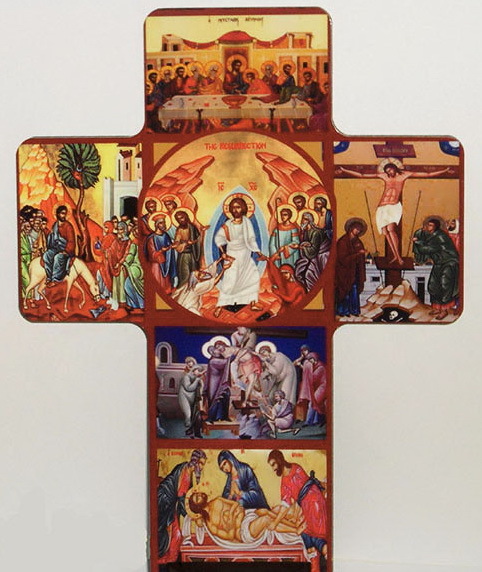 At the Ecumenical Council of Nicaea in 325, it was decided to celebrate the Holy Resurrection one week after the Passover, which was a movable feast. The decision was not a doctrinal issue. All churches adopted their liturgical calendar starting from that time. The Holy Resurrection must be celebrated on a Sunday. That Sunday is determined by the first occurrence of the full moon after the vernal equinox (March 21). Thus, the first Sunday following the first full moon after March 21 is Easter Sunday. Accordingly, Easter can occur from March 22 to April 25, a 35-day interval. It is clear, therefore, that Easter Sunday is a movable feast. 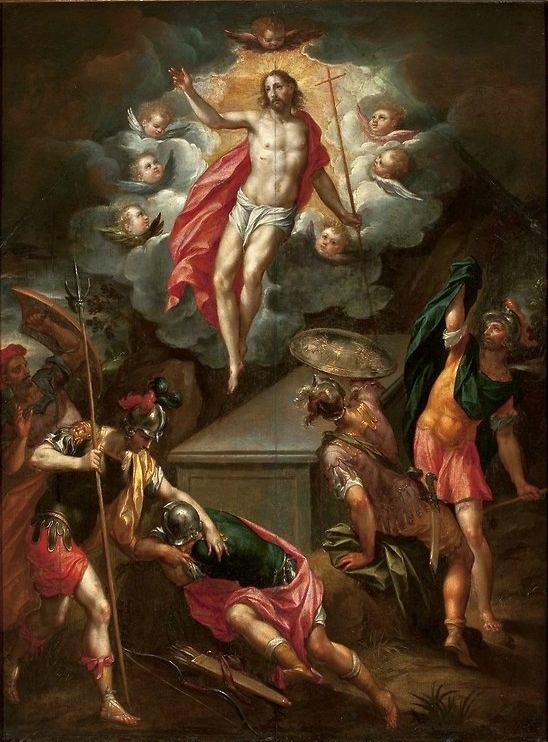 As a result, the occurrence date for all other feasts that are associated with the Holy Resurrection, before and after, is shifted accordingly. These associated feast days are all that occur between the eve of the Fast of Catechumens to Transfiguration (Vartavar). The length of that interval is 24 weeks, or 168 days. Easter Sunday is taken as the name day for those having the names Haroutioun, Artin, Harout. It makes the time for celebrating and extending good wishes to their bearers. DAGHAVAR: These are the five great feasts of the Armenian Church: Theophany, Easter, Transfiguration, Assumption, and Exaltation of the Cross. The literal meaning of “daghavar” is tabernacle, or a movable tent used for the exhibits or the merchandising of wares in marketplaces. In ancient times the celebration of these five feasts took place involving great crowds. Merchants and farmers used the occasion for trade of their products – fruits, grains, handiwork. Thus, many villages set up these tents, or tabernacles, to enable such trade of merchandise to take place. As a result, the idea of the celebration of the great feasts and the erection of tabernacles came to be associated, and the use of the tabernacles became characteristic of the religious celebration. ZADIG: In its related meaning it stood for a madagh meal made with lamb; traditional with the Jewish Passover. Eating the zadig meant eating the madagh meal. Thus, the term Zadig becomes associated with the Feast Day of the Holy Resurrection. NICAEA: Present day Turkish city of lznik. It was founded in the year 391 B.C. The Seljuks occupied it on 1081. The Ottoman Turks took it in the 14th century and gave it its name of lznik. It was there in 325, and again in 787, that two Ecumenical Councils took place. The Council in 325 produced the basis for the Nicene Creed. The Armenians participated through Aristakes, son of St. Gregory the Enlightener.